Here’s a small experimental batch of Mk.I-B Blunderbuss Ray Guns in a matte, Cobalt Blue Ti finish. These are deeply etched, but almost look blasted in appearance. They have some slight purple overtones as well, which appear in the sunlight. Very small drop of these, this finish was kind of an experiment. 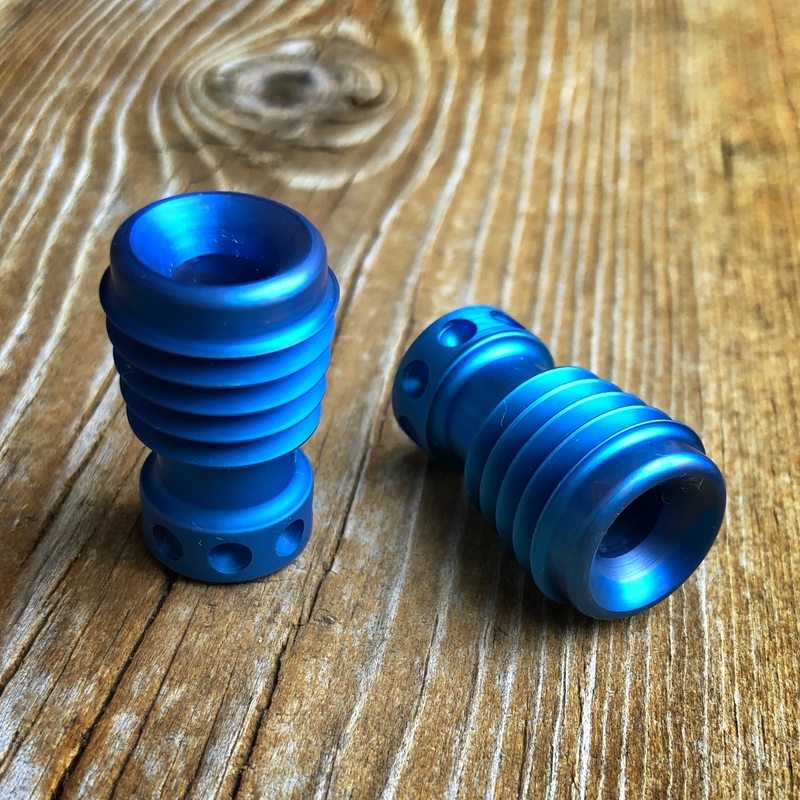 Mk.I-B Ray Guns in matte, Cobalt Blue Titanium are $90 each, shipped to US addresses. US buyers can purchase using the PayPal “Buy Now” button below. Buyers outside the US can hit the PayPal button to purchase and then contact me for a USPS Priority shipping quote at mark@raygundivision.com – Typically this ends up being an additional $15-30 due to Priority International cost, depending on location. Please Note: Shipment outside the US via any method other than tracked Priority or Express is at the buyer’s risk.